A study conducted by the National Institute for Occupational Safety and Health conducted a poll of long haul truck drivers at 32 truck stops along both high and low traffic routes in 20 states across the United States. They interviewed 3,759 truck drivers, 1,670 of which qualified as long haul truck drivers and had been on the job for at least one year. According to the results, truck drivers face a, “constellation of chronic disease risk factors,” including smoking habits, obesity, a lack of physical exercise, sleep deprivation, high blood pressure, and high cholesterol levels. The study discovered that long haul truck drivers are twice as likely to be obese than the average adult worker. Sixty nine percent of those interviewed were obese, and 17 percent were classified as morbidly obese. Eighty eight percent of the drivers had at least one significant risk factor for chronic disease, and 61 percent had two or more risk factors. In comparison, only 54 percent of working adults have at least one risk factor for chronic disease. Fewer of the truck drivers had been diagnosed with heart disease than the average working adult, but a higher percentage of truck drivers did have a diagnosis of diabetes. Sixty four and a half percent of the drivers worked for companies, 35.5 percent were owner operators, and 90 percent worked in a for hire capacity. Sixty percent were between ages 40 and 59, with 17 percent ages 30-39 and 14.8 percent ages 60-69. 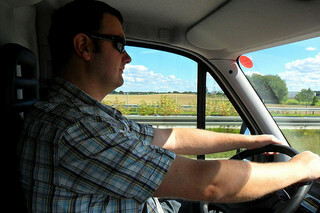 According to researchers, the data gathered from the long haul truckers indicates that the industry needs more targeted interventions to safeguard drivers’ health, as well as new ways to track data over time to help prevent chronic disease in order to protect those the nation depends on for the transport of vital products and materials. The Federal Motor Carrier Safety Administration cooperated with the survey.